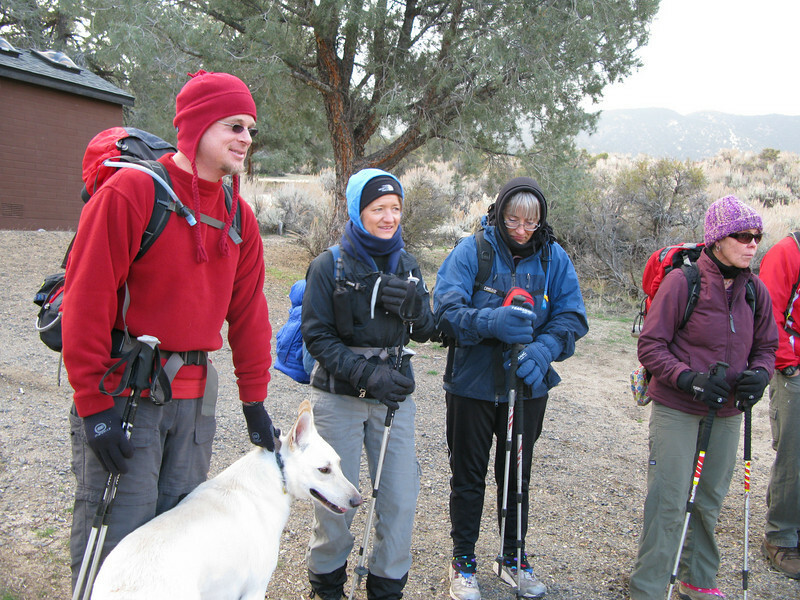 12-13-2008; 16 of the 19 of us that started out summited Scodie Peak. With wind gusts exceeding 60mph on the summit and ambient temp around 35 degrees; this was probably the coldest hike in the KRVHC schedule. For such a cold and windy day, we had a great turnout. It was another fun day on the mountain. This was summit x4 on Scodie. After the hike we took Alice out to dinner for her birthday(last Saturday).